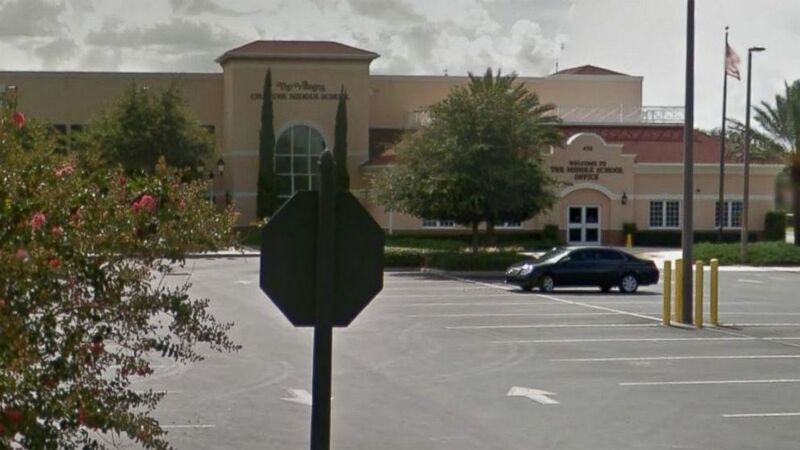 Two male teenagers in central Florida were arrested Thursday after authorities discovered the pair's plan for a Columbine-style mass shooting at their middle school, police said. The unidentified students -- ages 13 and 14 -- were charged with conspiracy to commit murder and placed into the custody of the Department of Juvenile Justice, the Sumter County Sheriff's Department said in a press release. Law enforcement and school officials were initially tipped off of the pair's plans on Tuesday, police said. The arrests came after "officials learned of, and intervened in a plot to initiate a mass shooting at their school," the release said. On Tuesday, after classes had finished for the day, "school officials and the schools resource officer became aware of rumors circulating between students at the school," the release explains. "The rumors indicated that a student was planning a mass shooting on Friday January 27th. Witnesses indicated that some students had been warned not to come to school on Friday." The following day, the two students told officials that they had indeed discussed a mass shooting at The Villages Charter Middle School in Lady Lake, a town located about an hour northwest of Orlando. Police said in the release, "The 13-year-old student alleged to be planning the attack was intercepted by authorities as he attempted to arrive for school. At that time, he acknowledged conversations involving the plot and referenced the mass shooting at Columbine High School." During the conversation with the 13-year-old, "officials learned of a second student's potential involvement and quickly located the 14-year-old-male student on campus," according the release. "The 14-year-old student acknowledged his involvement in conversations with the 13-year-old student again referencing the Columbine shooting. The student informed officials that the two students had planned an attack which included what they would use as a signal to open fire." No weapons were found on either of the students or in their bags or lockers, police said. Then on Thursday, the teens were arrested at their homes during the service of search warrants. The 13-year-old was arrested by the Lake County Sheriff's Office on a juvenile order at his home in Fruitland Park. The 14-year-old was arrested by the Sumter County Sheriff's Office at his home in Wildwood. No additional arrests are expected, police said. Firearms were recovered from both suspects' homes during the search warrant service. An increased deputy presence will be at the school on Friday.